Birds are perhaps the most accessible and obvious of all our Irish wildlife. They’re relatively large, active, sometimes brightly coloured and, because they can fly to escape danger, they tend to be less elusive than many other wild creatures. Once you’re tuned in to bird activity seeing birds in your garden or the local park is relatively easy. But if you want to really get to grips with Ireland’s bird life you need to understand a bit more about the places they live, how they utilise the landscape and the relationships between different bird species that occur in similar places. For most birders (bird watchers) and ornithologists (bird scientists) that understanding comes from years watching and studying birds out in the field, and from snippets of habitat related information in guide books that are invariably organised by scientific classification, rather than by where and how the birds live. It’s like putting together an incredibly complicated three dimensional jigsaw without access to the reference picture for comparison. I’m fully aware that understanding habitat is a crucial part of finding, watching and studying birds and other wildlife. Understand where and how birds live and you increase your success rate in the field exponentially. I’m also painfully aware of the gaps in my own knowledge. They’re highlighted every time I venture out. I was thrilled, therefore, when a copy of a brand new book dedicated to bird habitats arrived at Ireland’s Wildlife HQ. “Bird Habitats in Ireland”, edited by environmental consultant Richard Nairn and John O’Halloran, Professor of Zoology and Ecology at University College Cork, is a unique tome that, as the name suggests, is organised by habitat rather than by species. The book starts by introducing the concept of habitats and how early ornithologists developed an appreciation of the connection between birds and the places where they lived. It goes on to explore the way different habitats in Ireland are divided up, how that classification applies to the study of birds, and examines the complex range of conditions both within and between habitats that affect the variety and number of birds that each can support. Much of the book is dedicated to specific treatment of individual habitat categories, spanning everything from Upland Heath and Blanket Bog to The Open Sea. These chapters are written by contributing authors who are acknowledged experts in their specific fields, and who bring a uniquely Irish perspective to the habitats they discuss. They describe each habitat type in detail, looking at its composition, the bird communities associated with it and the impact of human activity. It concludes by exploring habitat management for birds, examining the potential impact of climate change and looking to the future and what it holds. 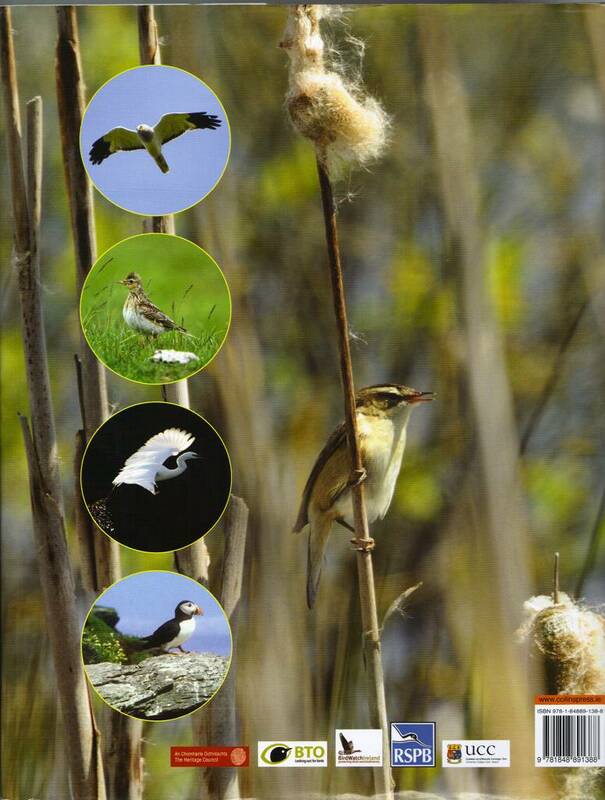 “Bird Habitats in Ireland” is an impressive body of work that brings together a disparate collection of research, information and expertise. It joins the dots, and puts birds into context — connecting them unequivocally to place. It’s also an extremely well put together book — and hats off to Cork based publisher The Collins Press for what is an exemplary production. You may sense a “but” coming… and you’d be right. I couldn’t help feeling as I read through the book that it somehow falls between two potential audiences. It’s almost as if the authors couldn’t quite decide who the book was for — and opted for the middle ground, and therein lies its main weakness. This is a book written by scientists, presenting scientific material. The styles of the contributing authors vary from chapter to chapter, but ultimately the approach is one of scientists writing for other scientists. I don’t think that style of delivery is compelling enough to engage and retain a more mainstream audience. No problem — it must be a book for scientists and professional ecologists who want convenient access to the latest research. Well, no, not really. I may be wrong here, but I don’t think the book breaks any new scientific ground. It’s distilling the available research into a useful “package”, but it covers a lot of material that most professionals and scientists working in the field will already know. Ultimately we have a book here with a bit of an identity crisis. The information, detail and data it contains is ideally pitched for the interested lay-person or amateur naturalist — but its delivery lets it down. Is it a good book? Yes, undoubtedly. But I can’t help feeling a little disappointed, because it had the potential to be a really great book. 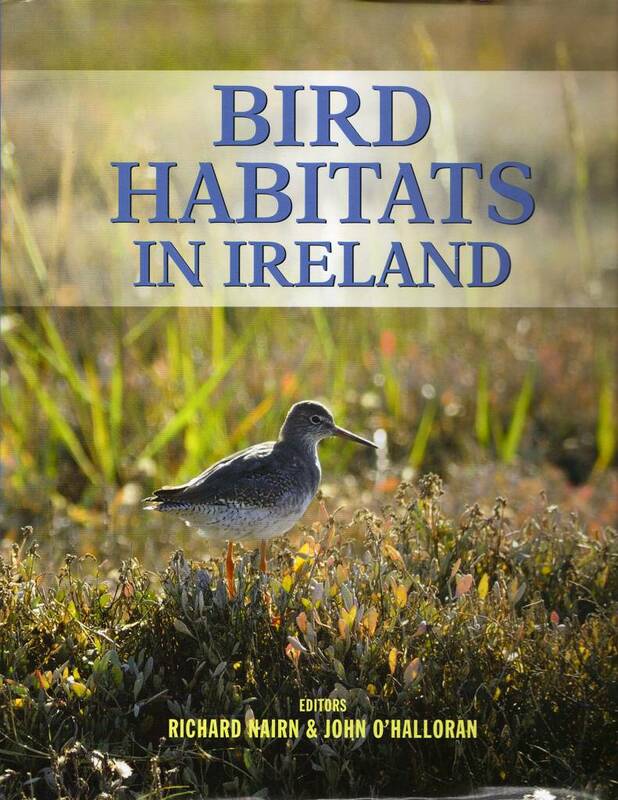 Bird Habitats in Ireland is published by The Collins Press.